By Rutger Rosenborg – NBCSanDiego.com – Photo: John Hancock. Photo: Carlos Santana performs the national anthem at game two of the NBA Finals on Sunday, June 3. 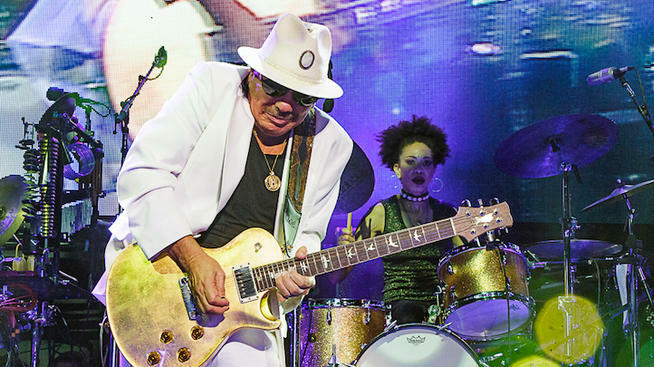 As the story goes, legendary Mexican-American guitar slinger Carlos Santana got his start in music playing on the Tijuana Strip. Then, he moved north to San Francisco where he worked as a dishwasher at a diner and busked for some extra coin before rising to prominence in the Bay Area club circuit.